Back in those days when Children's Day was today, it used to be a school holiday. But don't be disappointed yet, Times Bookshop got a very special offer for all students! Promotion is valid with a minimum of $20 purchase. Promotion is only applicable to primary and secondary students. 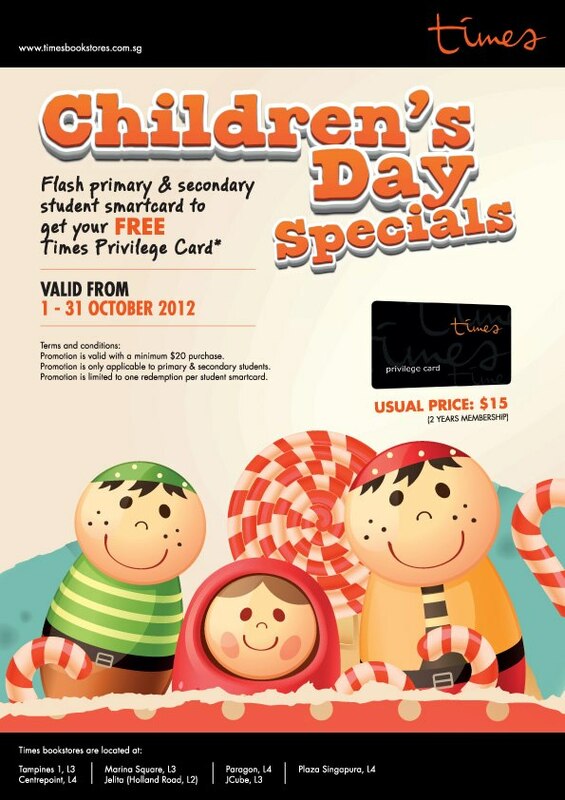 Promotion is limited to 1 redemption per student smartcard.